Gathering many professionals together to make a strong R&D team, we specialize in providing topflight extruding machines. >From QC to machine operation testing, we practice a stringent managerial system, ensuring high machine quality and value. 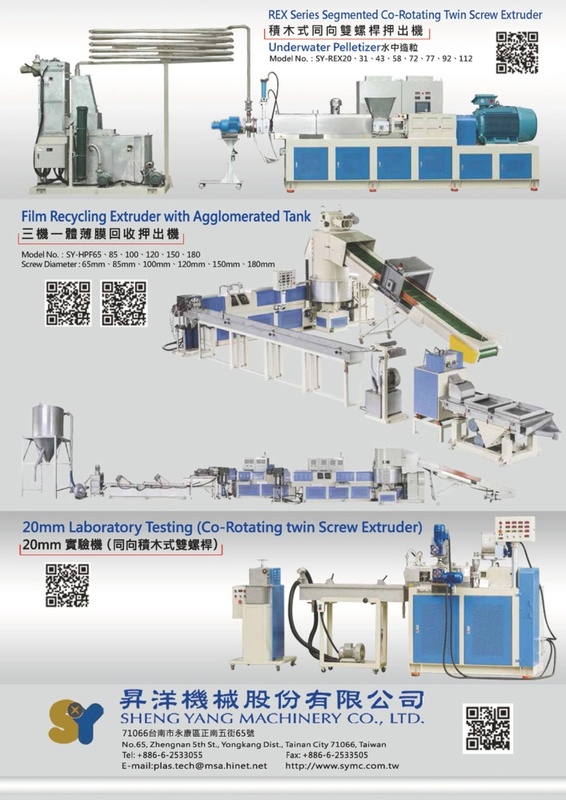 By using professional technology to maximize machine capacity and applications, we keep on providing customers with high-quality, high-capacity, high-efficiency, and low-production-cost extruding machine models. We have two manufacturing strategies: 1. Well-organized machinery design, and 2. doing our best to meet customers’ requirements. Thus, we have won a high reputation among our customers. To show enthusiastic service to our customers, we do our best to meet customers’ requirements ranging from machine maintenance, development, and manufacture of whole-plant production equipment to machine test running. We will keep on polishing our skills and know-how in order to provide the latest extruding machine models.